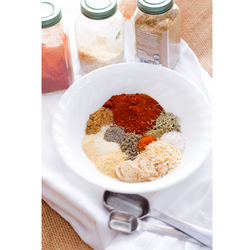 Our range of products include mesquite grill seasoning, five spice seasoning, spices seasoning, balti seasoning, red thai curry seasoning and vinaigrette seasoning. 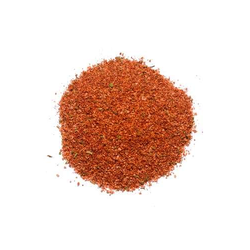 Description: Mesquite Grill Seasoning Offers A Typical Taste Characteristic Of A Mesquite Wood Smoke. (a Few Soft Lumps Are Permissible). This Package Of Mesquite Grill Seasoning Contains Added Monosodium Glutamate. Applications & Recommended Usage: Add 4 Gms. To 100 Gms. Of Meat/Vegetables/Gravies/Marinations Etc. 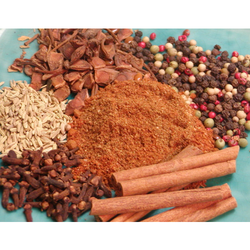 Description: Five Spice Seasoning Offers A Typical Taste Characteristic Of A Chinese Five Spice Blend (a Few Soft Lumps Are Permissible). Ingredients: Salt, Fennel, Cassia, Hydrolysed Vegetable Protein, Taste Enhancer ( E 621, E 627), Coriander, Pepper, Yeast Extract, Star Anise, Acidity Regulators [e 262 (ii), E 330, E 334], Bay Leaf, Clove, Anti Caking Agent ( E 551).contains Added Flavours: Natural Flavouring Substances.This Package Of Five Spice Seasoning Contains Added Monosodium Glutamate. Notrecommended For Infants Below 12 Months. Applications & Recommended Usage: Add 1 To 3 Gms. For 100 Gms. Of Vegetable/Meat/Gravies Etc. Owing to our years of experience, we have carved out a reputed position by offering Spices Seasoning. The nutritional values, taste, rehydration and increased shelf life property to an unmatchable extent taking it very close to the fresh ones and makes our technology the best drying technology of the present era. Offered product is processed in a hygienic way & packed in quality material that maintain its freshness for long time. Recommended Usage For Thin Gravy: Add 20 gms. premix 230 ml. of milk 15 gms. cream 150 gms. tomato puree 100 ml. water and simmer on medium heat for 1 to 2 minutes. We are a renowned entity, engaged in manufacturing, exporting, wholesaling and supplying a wide assortment of Balti Seasoning. 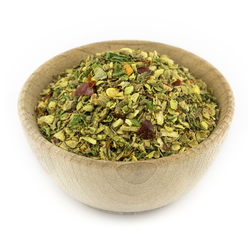 Balti Seasoning offers a typical taste characteristic of a Balti spice mix. The offered product is processed using high grade ingredients and is packed in sealed tight packs. Our team of quality controllers tests this product on various parameters to ensure quality. 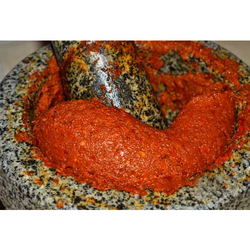 Description: Red Thai Curry Seasoning Offers A Typical Taste Charactering Of A Red Thai Curry With A Mild Spice Note In The Background. (a Few Soft Lumps Are Permissible). Contains Added Flavours: Natural And Natural Identical Flavouring Substances. Marinations: Add 10 Gms. To 10 To 15 Ml. Of Hot Water And Mix Along With 75 To 100 Gms. Of Vegetables Or Meat. Noodles: Add 10 Gms. To 10 To 15 Ml. Of Hot Water & Mix Along With Approx 100 To 150 Gms. Of Noodles. Description: Vinaigrette Seasoning Offers A Typical Taste Characteristic Of Vinaigrette With A Mild Spice Note In The Background. (a Few Soft Lumps Are Permissible). Applications & Recommended Usage: Add 10 Gms. To 10 To 15 Ml. Of Hot Water And Mix Along With 75 To 100 Gms. Of Noodles/Vegetables Or Meat. 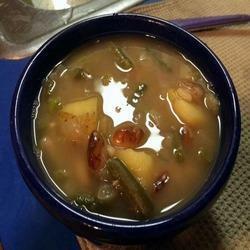 Can Be Used As Glaze Or Marination As Well. We are a remarkable entity engaged in manufacturing, exporting, wholesaling and supplying Barbeque Sauce Seasoning. 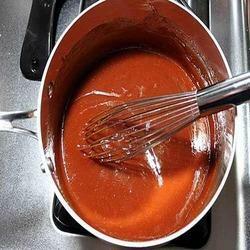 Barbeque Sauce Seasoning offers a taste characteristic of a Honey Mustard Barbeque Sauce with a mild smoky note in the background. Our product is made up of sugar, honey powder, tomato solids, soya sauce powder, acidity regulators [ E 262 (ii), E 330, E 296], tamarind powder, hydrolysed vegetable protein& various others. This product can be used for numerous culinary applications. Applications Some of them are as follows: Dust on Seasoning: 1 to 4 gms. to 100 gms. of the snack/fried products. Marinations: Add 10 gms. to 10 to 15 ml. of hot water and mix along with 75 to 100 gms of noodles/vegetables or meat.With noodles 1 to 4 gms to 100 gms. of noodles/pasta. 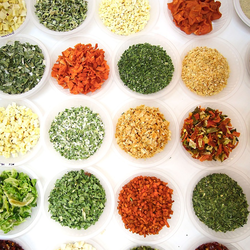 With rich industry experience and knowledge, we are engaged in offering Cajun Seasoning. Offered product is made up of cumin, salt, coriander, onion powder, hydrolysed vegetable protein, pepper, red chilies, garlic powder, taste enhancer (e 621), spices and condiments, mustard, yeast extract, acidity regulators [e 262 (ii), E 330], stabilizer ( E 415), Anti Caking agent (e 551). These seasonings are globally appreciated for adding in various kinds of dishes and drinks to add their flavors and taste. Allergens: Soya Based Products.applications & Recommended Usage: Can Be Used As Marination, Seasoning Or Dry Rub.add 1 To 3 Gms. For 100 Gms. Of Vegetable/meat. 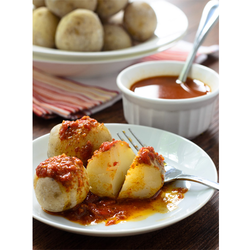 Description: Mojo Rojo Sauce Seasoning Offers A Typical Taste Characteristic Of A Mojo Rojo Sauce With A Mild Spice Notes In The Background. (a Few Soft Lumps Are Permissible). Ingredients: Sugar, Tomato Solids, Acidity Regulators [ E 262 (ii), E 330, E 296], Honey Powder, Tamarind Powder, Hydrolysed Vegetable Protein, Malto Dextrine, Onion Powder, Spices And Condiments, Mustard, Garlic Powder, Salt, Fruit Powders, Yeast Extract, Stabilizer ( E 415), Softening Agent [e 500 (ii) ], Taste Enhancer ( E 627), Anti Caking Agent ( E 551). Applications & Recommended Usage: Add 10 Gms. To 10-15 Ml. Of Water & Mix Along With 75 To 100 Gms. Of Vegetables/Noodles/Meat Etc. 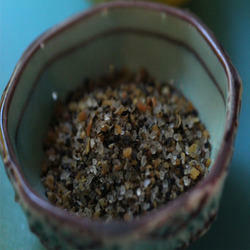 Can Be Used As Seasoning, Marinade Or Glaze As Well. 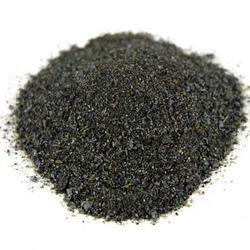 We are counted amongst the most prominent manufacturer, exporter, wholesaler and supplier of Charcoal Seasoning that gives prominent grilled & charcoal profiles. 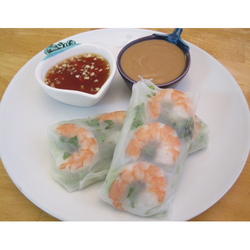 Our product is highly demanded in the market for freshness and delicious taste. 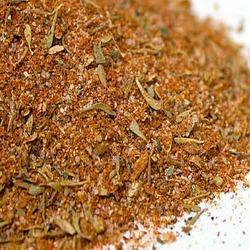 This seasoning offers a typical taste characteristic of an Indian Tandoor. Our product is available in different packaging options at the most reasonable price. Applications & Recommended Usage: Add 0.5 To 1 Gms. On 100 Gms. Of Pizza Or Sprinkle As Desired. Can Go Well As Seasoning On Salads, Pasta, Sauces, Pizza, Finger Foods Etc. Looking for Spices Seasoning ?